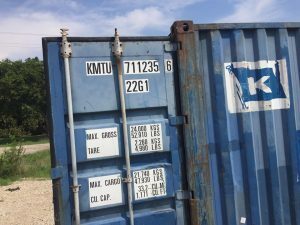 Shipping containers are a great option for your storage needs. 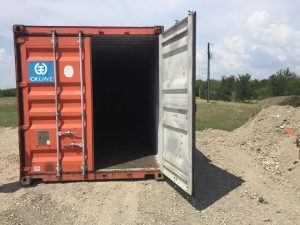 They provide a large amount of secure storage space that is well protected from the elements. 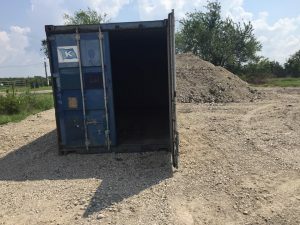 Why pay monthly and have to haul your stuff to a remote facility when you can own one of these and have it conveniently located on your own property? 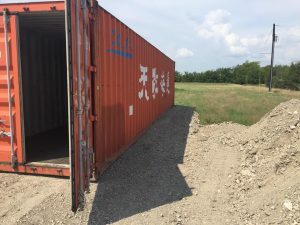 We have 40' shipping containers available for purchase locally at the Morris Construction Rock Yard. Contact us for purchase and delivery options.